A jury in the second Federal patent trial between Apple and Samsung, concluded that the latter did infringe on at least one Apple patent. But unlike the verdict in the first case, which ended up with Apple awarded nearly $930 million following a second jury trial related to the damages awarded, the jury on Friday concluded that Samsung must pay Apple the much smaller figure of $119.6 million. Most experts had expected a higher damages total considering that the devices involved in this case were more current than the ones involved in the first trial. The jury concluded that Samsung infringed on Apple's '647 data tapping patent, which deals with saving data on your device, and then calling it up and using it later. The jury also ruled that Samsung did not infringe on the '959 patent or '414 patent. The latter deals with syncing data. The infamous '721 "slide-to-unlock" patent, was found to have been infringed on by some Samsung devices, like the Samsung GALAXY Nexus. The jury also computed the damages that Samsung owed for infringing on Apple's '172 Autocorrect patent. Judge Lucy Koh had already ruled that Samsung had infringed on that patent and the jury only was asked to decided the amount of the damages. "This outcome feels like a defensive victory for Samsung, but not a particularly shocking one. With Google directly involved in developing the allegedly infringing software, Apple's claims that Samsung blatantly copied the iPhone never rang true. "- Brian Love, assistant professor, Santa Clara University School of Law. " The jury awarded Samsung $158,400, ruling that Apple infringed on Samsung's '449 patent related to Apple's FaceTime video chat application. Despite the ruling, this could end up being considered a victory for Samsung with the much smaller amount of the verdict. While the jurymight have accepted Apple's premise that Samsung had infringed on some of its patents, the jury clearly did not agree with Apple as to the value of the patents infringed on. 9to5 what? It makes a difference! There is 9to5google, 9to5mac, 9to5forums, 9to5toys I said 9to5 because thats what my RSS client pushes. You forgot Dolly Parton's 9to5, which is probably more appropriate given this travesty of justice or iNjustice!! Samsung shouldn't pay them a penny. Apple should be grateful to Samsung because if it were not for Samsung you guys would still be on iPhone 3GSX. Thanks for the tip...this lil nuggest was posted at 9to5mac: Apple was found guilty in the case of Samsung patent ’239, which deals with streaming video during FaceTime calls. The court also ruled that Apple had infringed on some of Samsung’s property and awarded the Korean company $158,400 in damages. So....seems Samsung can use some of the money from this to pay for what they owe... Overall so far...Samsung found guilty on 2....mixed results on 1...not guilty on other 2.. Apple found guilty on 1, not guilty on another... Let the fanboys wars begin!!!! I'm confused about how apple can "infringe" on a patent and only have to pay 160k, versus 119million. I mean FT is one of apples signature apps. So it seems like the valuation would be much higher there vs. sammy. Because the Judge is in Apple's pocket. Also, how can Samsung be liable for Apple's patent on the SS Gal Nexus when it is a 100% Android device. Samsung did not supply any SW for it. Title of this post is missleading... it should be"Apple Also Found Infringing Samsung's Patents"
It's not true...verdict has yet to be released Alan F.
Title says Samsung infringes on at least 1 patent.... If after all this and its only for 1 patent....this was almost an absolute waste of time. And should be alot less than 2.2 billion..... Cant wait for further details. i really hope samsung finally wins... that will make apple fanboys cry :D CANT WAIT!!!!! Agree Samsung is not happy for that. Even $1 paid for such a BS trial, is offending. Even if Google pay it, it's a stain on Samsung, not on Google(US). That's what Apple want. They know that trey will lose in the tech batle, so they try to bite Samsung's honor(just to keep the iZombies united, and not to run away). "The first verdict read was for patent 5,946,647, Apple’s “data detectors” that transform typed text such as addresses into actionable links. Samsung was found guilty of infriging on this patent in all devices listed in the suit." "The next patent in question was number 8,074,172, which deals with how autocorrect suggests words. 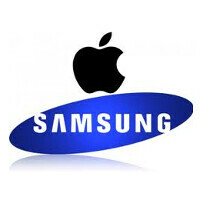 Here the jury found Samsung guilty of infringing Apple’s intellectual property." "In the case of patent 8,046,721, a gesture-based unlock screen (“slide to unlock”), the jury returned mixed results. Samsung was found to infringe on some of its devices, but not all of them." _________________ "The court also ruled that Apple had infringed on some of Samsung’s property and awarded the Korean company $158,400 in damages." I hope thats the same case for what Apple owes too. Face Time feature vs every patent Apple was suing over....The amounts really should be reversed. With the '721 patent, some Samsung devices, like the Samsung GALAXY Nexus were found to have infringed on it. Ok.....that was stock Android....... Which reminds me....I wonder if this is one of the patents Google will cover the loss on. As a current Galaxy Nexus owner this is Total BS!! Did any of the jurors even use this phone to come to that conclusion!? FCK YOU APPLE. FCK YOU JUDGE KOH/JURIES. Um... Is that really necessary? A jury reached a decision after weighing the evidence, and the monetary award is *way* less than Apple was seeking. I can't for the life of me understand your reaction. Evidence?? What "evidence"? BS patents that can be patented only in US and only by Apple. And existing in the stock Android? (Google is US company- so no problem there) Come on. What Samsung is to be blamed, or punished? Oooh wait...I get it...they smash Apple litle by little. Again, there is a lot of opinion being flung around about what is or is not a valid patent. I happen to agree that the patent system in the US is ridiculously broken. But the jury is limited by patent law. They made their decision based on it to the best of their abilities. Whether you or I agree with the decision is moot. Insulting the jury for having done their job, and odds are one they never wanted is completely unnecessary.